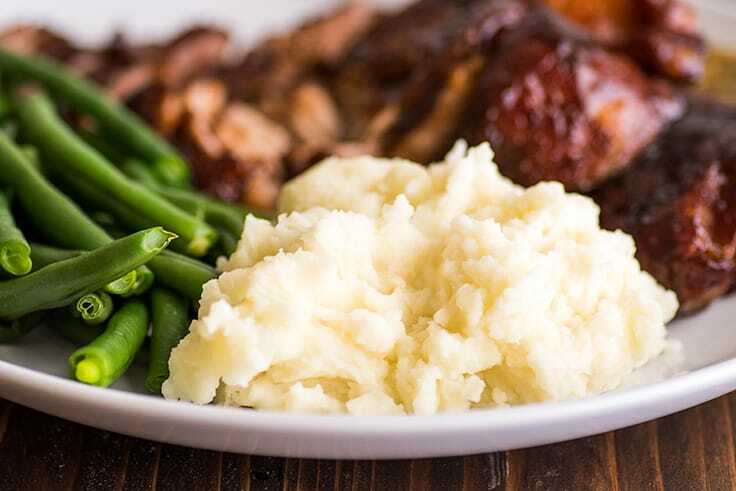 These Mashed Potatoes for Two couldn’t be simpler to make. 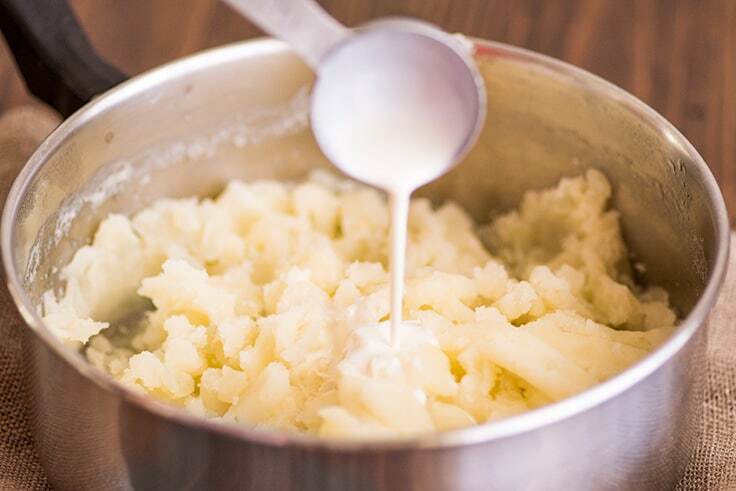 You just need one medium to large potato (or a couple reds), some butter, cream or milk, and salt, and you’re 15 minutes away from an excellent small batch of mashed potatoes. Hey, friend. 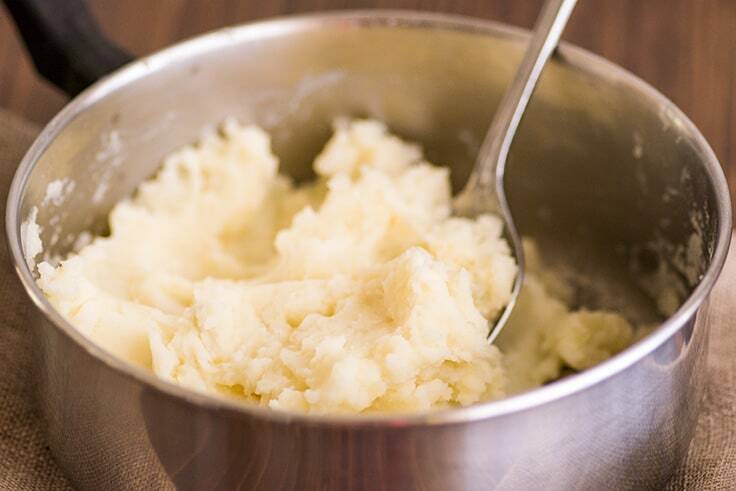 Super simple, super easy, super essential recipe post coming at you today: Mashed Potatoes for Two! If you’ve ever gotten halfway through putting together a meal and realized your plate could really use some carbs, ever found a single sad potato at the back of your pantry cupboard, ever needed some comfort food on a solo or date night, this is the recipe for you. 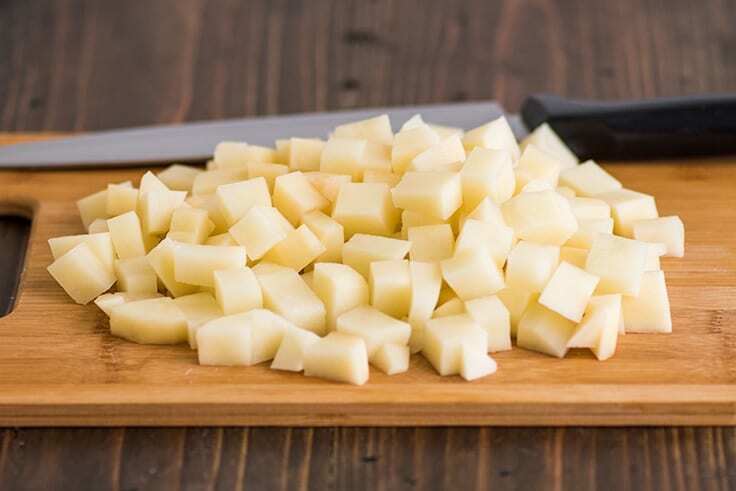 You just need one medium to large potato or a couple reds, some butter, cream or milk, and salt, and you’re 15 minutes away from some excellent mashed potatoes that will serve one or two. Take a potato. 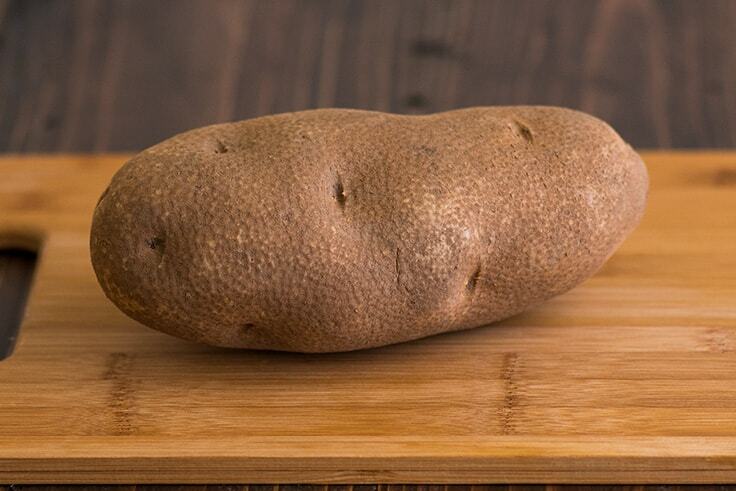 This is a russet. You can use a Yukon gold or a couple of reds. Peel and chop that thing. Then cover with cold water. Add enough salt to make it salty like the sea. Bring to a simmer and simmer for 8 to 12 minutes, until the potatoes are fork-tender. If you can crush a potato piece against the side of the pot with a fork, they’re done. Drain and add about a tablespoon of butter. More if you like a really buttery flavor, less if you don’t. And mash mash mash. Then add a tablespoon of cream or milk and switch to a spoon. Mix everything well and add more salt and some pepper. And taste. Want creamier potatoes? Add more liquid. Not buttery enough, add more butter. And that’s it. Serve alongside something amazing (like Country-style Pork Ribs) and enjoy. If you make mashed potatoes more than once a year, I recommend buying a potato masher if you don’t already own one. They’re cheap and make mashing potatoes quick and easy. Plus you can use them to make Banana Pancakes or Chocolate Banana Muffins. 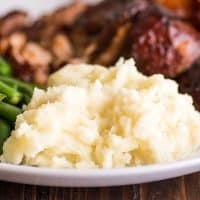 Looking for main dishes that go well with mashed potatoes? Try these Oven-baked Beef Ribs, Tri-tip in the Oven, and Creamed Turkey. These Mashed Potatoes for Two couldn't be simpler to make. 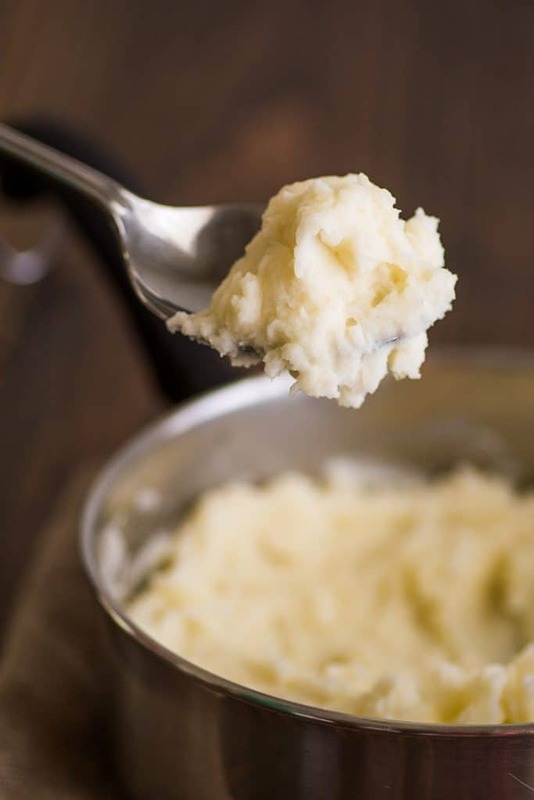 You just need one medium to large potato (or a couple reds), some butter, cream or milk, and salt, and you’re 15 minutes away from an excellent small batch of mashed potatoes. 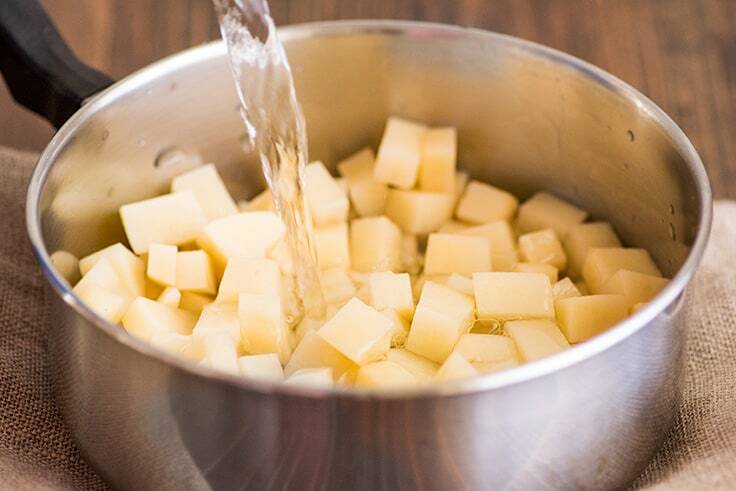 In a medium pot, cover potatoes with cold water and salt generously. Bring to a simmer and cook for 8 to 12 minutes, until potatoes are fork tender. Remove from heat and drain. 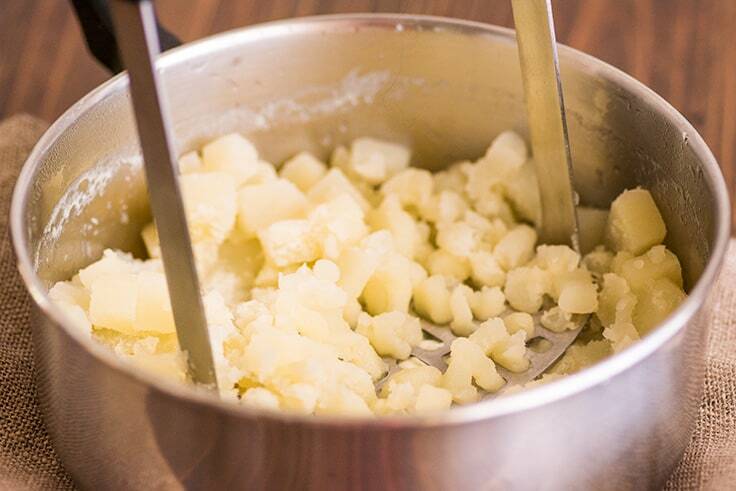 Add butter to the potatoes and use a potato masher or fork to mash potatoes. Add cream or milk and stir until incorporated. Add salt, pepper, and more cream or milk to taste.